Snowhydra Games has announced that Zarvot will release on Nintendo Switch this week, a quirky arcade shooter that’s all about cubes that sometimes love and sometimes hate each other. The single-player Story Mode follows the adventure of two cubes – Charcoal and Mustard as they set out to make the ultimate birthday present to cheer up their best friend. That heartwarming journey will see them explore nine different zones, that are home to fully realised dioramas of an abstract world that’s similar to our own. 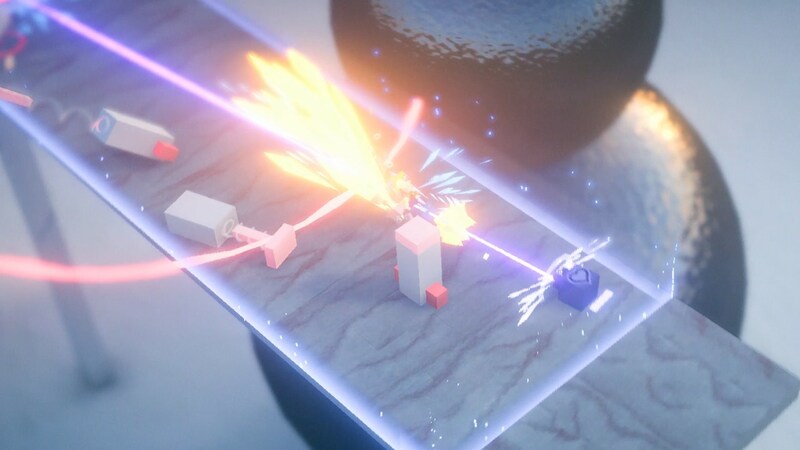 Whereas up to four players can compete in the Versus mode, you will shoot lasers at each other across destructible maps to see who will be the last cube standing. There are five competitive multiplayer modes like the classic Deathmatch, a sushi collecting scramble, and Joy-Vot that, exclusive to the Nintendo Switch version, lets one player spawn enemies to fight their friends. “With Zarvot, I wanted to make a game that captures both the joy and malice of competing with your friends; something that’s simultaneously light and breezy, but also chaotic and cathartic,” explains Snowhydra Games founder Sam Eng. “Zarvot celebrates both ends of the spectrum, merging its pleasantly tactile aesthetic and sweet characters with savage arcade action. I can’t wait for players to check it out! Zarvot will release on the Nintendo eShop for Nintendo Switch worldwide on October 18th, priced at £19.99 (€19.99).